This policy covers all the information required should you wish to make a complaint. All letters are sent home in dyslexia friendly font. These are published on the website and on the TEC App. If you require any other form of communication (i.e. audio messages on the website, phone calls) please let us know and we will do everything we can to help. In the current climate it is extremely important for all of us to be aware of how extremist groups target our vulnerable children to radicalise their views and how to tackle this. Click the link to see important advice for us all. This website gives parents practical advice on protecting children from extremism and radicalisation. The school has produced a Statement of British Values Document which we expect all members of the school community to adhere to. Mr Spears has spoken to all students in assembly. For guidance visit the article here. Please read the information on this poster regarding bell times, rules and responsibilities. Demonstrating outstanding role model skills - Any instance where the student sets a good example to others. Representing the School or House - Any activity where the student is chosen to represent the School or House. In addition 3 TICs will be awarded to all students who achieve 100% attendance each week. Any Tutor group which achieves 100% attendance from all students in any week, will receive an extra 2 TICs to each student. At the end of each term, each teacher will be asked to nominate three students from each of their classes to receive a Head of Faculty (or Head of House from Tutors). Each award will be worth 5 TICs and parents will receive a letter indicating the subject areas awarded. Unfortunately, at present, Parents cannot see these awards online. Students should keep a record of their awards in planners weekly for Parents to see. All meetings, information and events will be notified to all parents by letter, at the appropriate time. All letters will be published this website. In addition we now have a School App available for Apple and Android devices, which has many useful links and will include all letters. Search your App store for Tamworth Enterprise College, the App is free. The new school uniform will be worn by all students from the start of the new school year in September 2014. As most parents are aware we are changing from the blue t shirt to a traditional shirt and tie, a change which was suggested and endorsed by students, staff and parents. See the Head's Letter. The School was inspected on 17 to 18th June 2014. The report can be downloaded here . 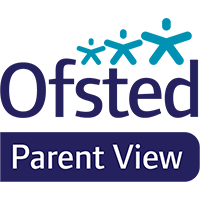 As a parent, you can give your views to OFSTED, about your child's education in the school. Simply click the image to visit the website. The new prospectus for 2015-2016 can be downloaded here . Note the very latest electronic prospectus, can be seen on the front page. We want the new website to be full of photographs of students learning and participating in the many trips and activities we run. However we do understand that some parents do not wish their child's image to appear on the website, for a variety of reasons. Should you not wish your child's image to appear please mail me, Mike Armstrong, (address above) and I will compile a list for all staff. It will still be the responsibility of the student to tell the photographer if they do not wish to be included on any web images. I can assure you that this question is asked whenever a photograph is taken for use on this website.